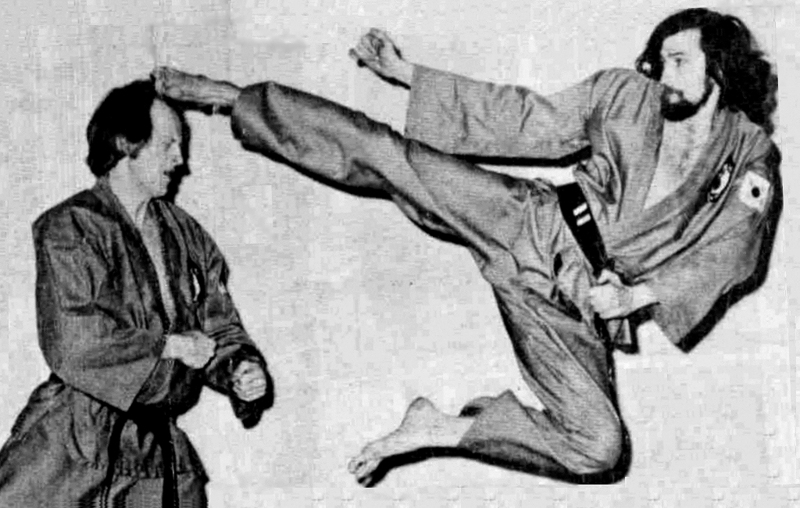 Stan Nikiel practices his jumping kick against his champion brother Ray Nikiel at their Metro Blvd. school and demonstrates the finer points of self defense below. Before Stan started Taekwondo, he had done a short stint in Kyokushinkai karate and quickly saw that this style did not meet his expectations. An ad in the local paper announced a Tae Kwon Do demonstration by a young third degree black belt fromKorea named Chong Soo Lee. 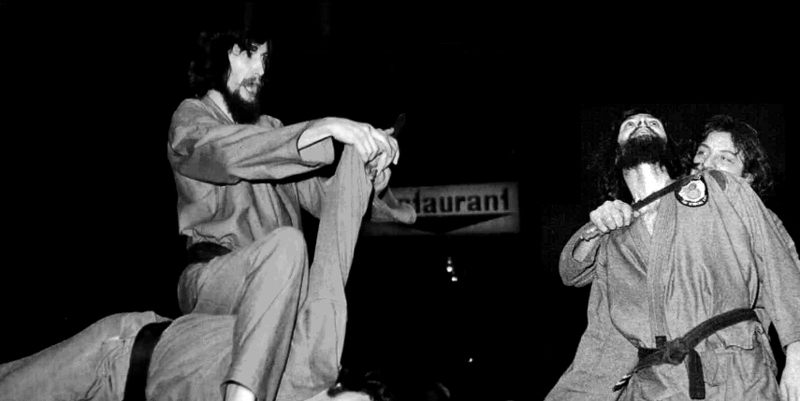 After seeing a demonstration that completely blew him away, Stan returned the next night tosee it again, only this time he brought his older brother, Ray, with him. This young third degree black belt from Korea that they had come to see did not disappoint them. He flew, spun, and kicked with blinding speed and precision smashing boards and bricks; he disarmed and disabled attacker after attacker. Both brothers immediately signed up for his first class to learn this amazing art. 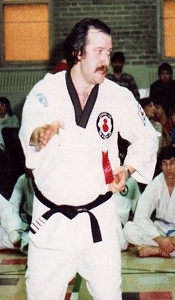 Stan passed his Black Belt in the second promotion test in Canada, 6 months after Ray. He also attained the rank of 5th Dan in the second Masters promotion test in Canada, almost twenty years later. Stan was a member of Chong Lees team that gave the first Taekwondo demonstrations in Canada at the Korean Pavilion during Expo 67 in Montreal. Like his brother, Ray, he traveled throughout Canada and the United States competing in open tournaments that often saw Tae Kwon Do fighters at a disadvantage in the primarily Japanese-style competitions. Stan quickly realized that in these open tournaments the cards were stacked against the TDK stylists. His philosophy quickly changed. If you knock out your opponent, it doesnt matter what the judges say, you won. Stan was disqualified for excessive contact in almost every tour nament he entered after that. His six-foot height often landed him in with the heavyweights, despite being only 140 pounds, as divisions were split according to smallest in the front and tallest in the back. His whip-like kicks landed, more often than not, too strongly in the faces of his opponents. 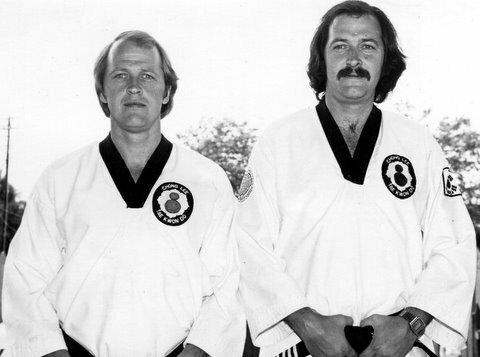 Stan and his brother both taught at GM Lees dojang for many years, developing their students into the best fighting team ever produced in Canada. Known as a demanding, hard-nosed and dedicated teacher, he would always get more out of his students than they wanted to give and this is what drove them to succeed. Stan loved to train and spar with and his students. He also trained both Darrell Henegan and Jersey Long during their kickboxing careers. Stan would say, When they can give me a problem in the ring, Ive done my job. From the success his students have achieved, it is clear that be did his job very well indeed.